Fall colors are peaking on trees in our area. As the leaves fall homeowners start raking them, while children jump into the piles. It can be a fun time of year, but deciding what to do with all those leaves is often a challenge. Since July 1, 1990, leaves and other landscape and yard waste has been banned from Illinois landfills. Leaves are not a serious disposal problem though since there are a variety of uses for them. Many municipalities or garbage-collection services offer leaf disposal options. Check with your city or town for specifics. Some municipalities also require that homeowners dispose of leaves in paper bags as an environmental solution. Many people still burn leaves. Leaf burning is a controversial environmental issue. People suffering respiratory ailments often find that the air pollution caused by burning leaves aggravates allergic and asthmatic symptoms and makes breathing difficult. Many local governments prohibit or restrict leaf burning so check your town ordinances before burning. Better yet, in lieu of burning, use a more ecologically sustainable leaf disposal method that incorporates leaves into your landscape. You can use leaves as mulch. Leaves make excellent mulch for overwintering perennials or for beneath trees, shrubs, and other landscape plantings. If allowed to collect beneath the trees, leaves slowly decompose, releasing their nutrients to nourish the trees. This provides the litter that creates new, rich soil for tender roots. Large trees growing in the forest naturally have a layer of decayed leaves and leaf mold beneath them. This organic layer is the home of many beneficial organisms. Of course, this does not work if there is grass beneath the trees, since the accumulated leaves will smother the grass. If there aren't too many leaves on the lawn, try grinding them with a power mower to let the tiny pieces fall between the blades of grass. A mulcher-mower does this especially well. If you have room, a backyard compost pile provides an economical way to dispose of autumn leaves, while at the same time providing a source of organic nutrition for your garden. Leaves are an excellent material for compost. Composting is really very simple and a must for every home gardener. If you don't have or want your own compost pile, see if a neighbor will add your leaves to their pile. Or shredded leaves can be dug into vegetable or flower gardens in fall and will greatly improve the soil for next year. If you have white pines trees, you probably also have a lot of needle drop beneath those trees. Pine trees, especially white pine, naturally drop their older, inner needles each fall. It is natural and the tree is fine. Like leaves, the needles make a great mulch or compost material. Don't forget the beauty of fall colored leaves. Leaves make great additions to fall decorations. They could be used to stuff a scarecrow for your yard. You can also collect and save them for use in future fun family art projects. 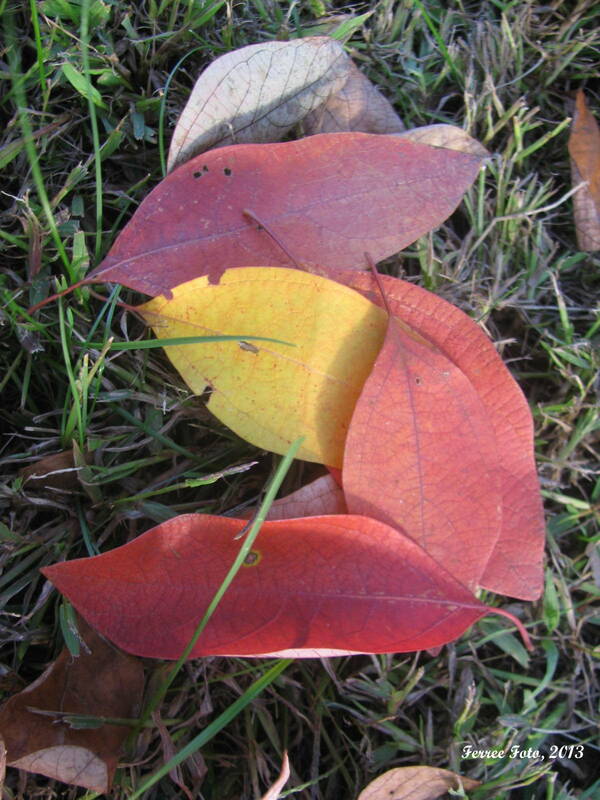 You can find other fun facts and ideas for fall leaves at a comprehensive fall foliage website by University of Illinois Extension called Miracle of Fall at http://extension.illinois.edu/fallcolor/. The site has a listing of fall color updates for states across the United States. Another feature lists many major trees and shrubs with pictures of their fall color. You can also watch the changing leaves on foliage webcams.